I love Wendy's frosties. I especially like them with french fries. The combination of sweet and salty, hot and cold is just so good! Unfortunately, they're really bad for you with lots of sugar and empty calories. Now you can have a Wendy's frosty whenever you want and without the guilt! I found this recipe on Pinterest and it's from Meals & Moves. It's healthy, delicious, and really tastes like the real thing! The recipe calls for xanthan gum and guar gum. I honesty don't know what that stuff is and I wasn't about to spend a lot of time looking for it at the store. 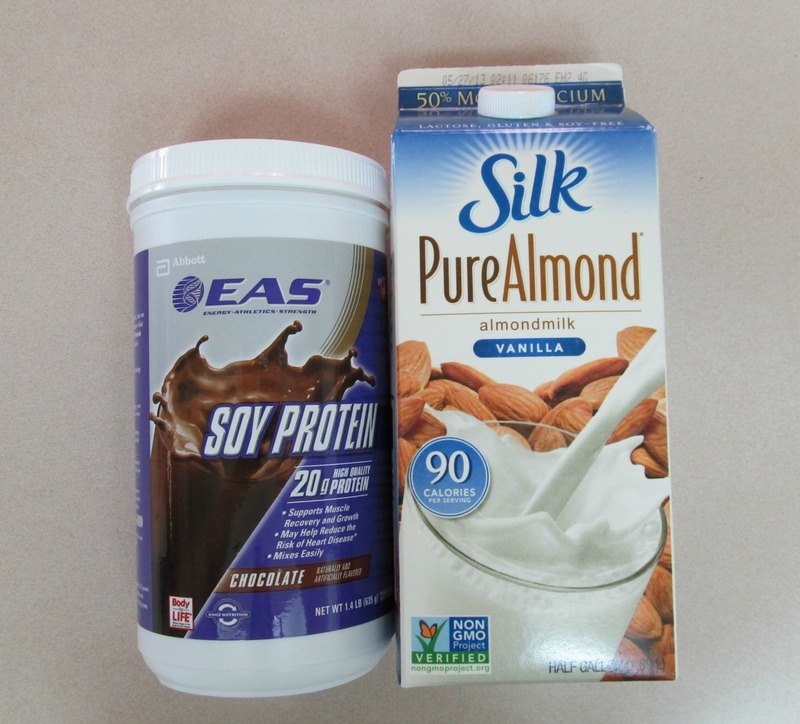 I did have the soy protein powder because I like to make healthy chocolate milkshakes. I crush some ice cubes in a blender then add a cup of milk, a banana, and a scoop of chocolate soy powder. Blend it all together in the blender and it's really good. It's not quite a Wendy's chocolate frosty because you can really taste the banana, but it's still pretty good. Use the blender to crush the ice. Add the soy milk and protein powder. Mix until smooth (about a minute). If the frosty is too thick, add a little bit more soy milk until it's the right consistency. Thanks for the idea! My husband is going to be so excited when I show this to him! Ha-ha-ha! I'm on it Donna! Thanks so much for sharing this at Cornerstone Confessions! Looks great... pinned it! ohh frosties are my weakness! thanks for this! Oh man....these look so good and so easy! Would love to have you share at my party! Thanks for inviting me over to your party! I linked up. Me too!!!! A frosty and fries, amazing. While I am not sure about xanthan gum, guar gum is a natural thicker, you can get at Mountain Rose Herbs. I have not used yet, but hope to in the future when my huckleberries come in to make jelly. Thanks for linking up at Tuesdays With a Twist, I look forward to reading more blogs from you. Thanks Joyce! I didn't use either one in the recipe, but it was still yummy! This actually sounds healthy! Amazing --- frosty and healthy in the same sentence. I love frosties, too. Gotta try this. Thanks. I know! It's almost too good to be true! Haha. When I saw your submission to the Lady Behind the Curtain link party I clicked on it while thinking "rats, I just started my diet on Monday!" And then I saw the ingredients and thought "yay!" I can totally make this and keep within my caloric boundary. Thanks for sharing. A frosty and fries... Agreed - yum! Thanks for sharing it at the Pinterest Power Party! Love Frosties, I think too much. Thank you for sharing. Thanks for the invitation Kinsley! I linked up. oh man... I am saving this for the summer! Looks yummy! Can you believe that I am 1 of probably about 2 people in the world who don't like Frosties? lol! Lots of people will love this. I know my grandies would. Thanks for sharing with SYC. I love Frosties too. When I was in college, my friends and I would go to Wendy's late at night because they were open 'til midnight. All-nighters would be accompanied by a Frosty. :) Thanks so much for linking up to Inspire Me Wednesday! Frosty's are one of my husband and my favorite treats :) How great that we can make them at home! Thanks so much for linking up to All My Bloggy Friends! Thanks for the feature Jessi! I really appreciate it! I LOVE a good Frosty from Wendys. Yum! Thank so much for linking this up to Dare to Share. You are today's Dare to Share Feature of the Day. Thanks so much for the feature Pam! I appreciate it! Hopping from Craft-O-Maniac Monday this is a very healthy frosty! I will give it a try! P.S I am a new follower too! I love Wendy's frosty. This sounds really good and much healthier for you. Oooh...that looks really good. I will be featuring this tonight at my Swing into Spring party that opens at 8pm EST. Please stop by and pick up an I've Been Featured button. Thanks. 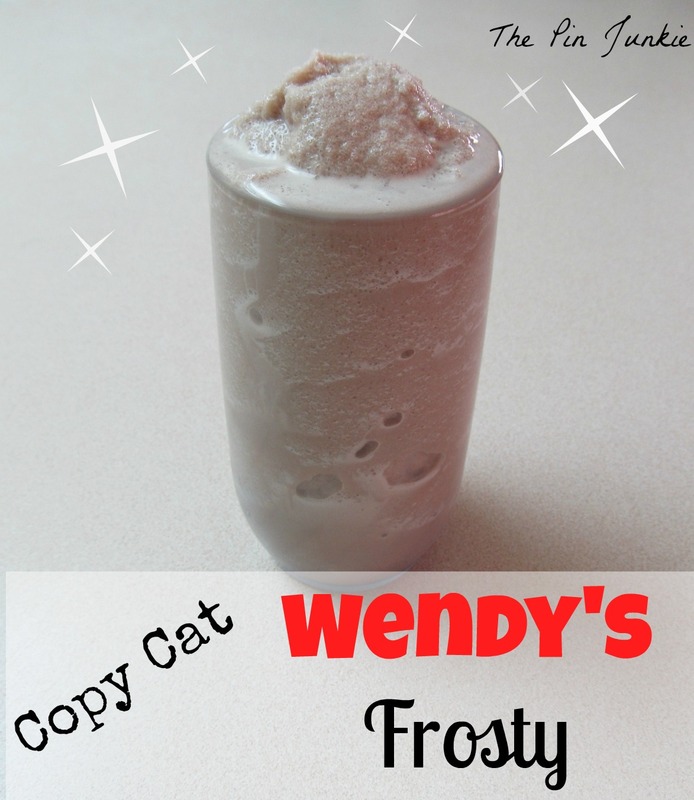 Thanks for featuring my copy-cat Wendy's frosty! What an honor to be included with such amazing features! Delicious! I am going to pin this right now! Well! Was it good? Was it like the Wendy's Frosty? These two ingredients sound so much healthier - I'd love to share this recipe with my children! Yes! It was good and very similar to the real thing! 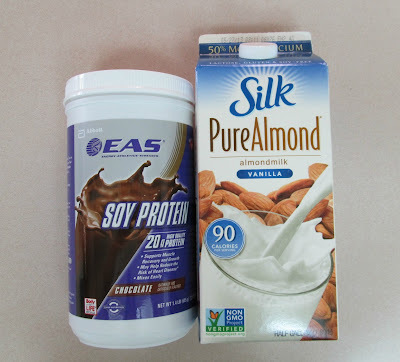 I've never tried soy products, but this recipe looks like a winner! I'll have to look for them next time out, and definitely going to try this recipe! Thanks, I'm pinning! I pinned this!! Stopping by from Katherine's Corner Blog Hop. Love that this is healthy! I loved these when I was a kid. Haven't had one in many, many years! Thanks for sharing this at my Pin Me Party! I deleted your other links because you linked them last week. Love these...I didn't know it was so easy to duplicate! Thank you for linking up at SHOW-licious Craft Showcase! I hope you come back this weekend for another fun party! I've seen this so much but never thought it'd turn out so well. You're motivating me to try it!! My family LOVES Wendy's frosties, so this is a MUST-Try for me. Yes, Pinterest is VERY addicting! I spend way too much time there! Thanks for stopping by! I had no idea this could be so easy! I have the ingredients on hand so I will be trying this out. Thanks!!! Sounds great AND healthy :) Thanks for sharing with us at Weekend Wonders! Hope you're having a great week! We just wanted to let you know that we featured this post at this weeks Wednesday's Adorned From Above Blog Hop. Thanks so much for sharing with us.